« The Voynich in 1905? Back in 2008 I had the opportunity to research the Voynich collection at New York’s Grolier Club. My daughter and I made several interesting discoveries, including Ethel’s personal notebook of plant identities. This find implied that she was quite convinced of the Voynich Manuscript’s authenticity, which had been a question in some quarters. Some of the correspondence in the collection colored out some smaller aspects of the Voynich business, but there really was nothing groundbreaking in nature. Of course I was only able to look through two of the boxes (#6 & #8), and really did not have the time I needed to explore even those to the extent I would have liked. And ever since then, I wanted a chance to look in box #5, which contains much correspondence between Anne Nill, Wilfred and Ethel’s business manager, and Herbert Garland, the manager of the Voynich London office. Since 2008, it had been suggested to me that box 5 might be important in giving us insight into the provenance of the Voynich Ms., because it was thought that if Anne Nill knew something about this, she may have revealed it to Garland. I was given permission in the summer of 2012 to examine these letters, and went down on July 24. Again, I could not say that the letters altered the Voynich landscape to any great degree, but there were some interesting revelations. Most importantly there was a shift in my understanding of the place and value the Voynich manuscript had to Wilfred, Ethel, Anne and Herbert. It was not simply one of their properties, nor even simply the one which was most potentially valuable. It went beyond that. It seems the Voynich, or “Bacon Ms.”, had become in a way the identity of the firm, and even a part of their own identity. They all seemed to place a great deal of hope, through troubled times, that they would survive a fate of destitution and obscurity, when and if they could properly validate the precious possession. I think that this attitude, this hope, may have even caused them to lose focus on the business as whole. The book business itself was a house of cards tenuously built around the Voynich ms., which was almost preserved despite it being a burden, while fostering the belief that the mysterious cipher manuscript would come to their rescue, and pay off all debts, and secure their future… but only if they only could resolve its true author, and purpose. At the same time it was clear that they felt themselves protectors of it, not only for this potential monetary value, but also for the intrinsic, romantic value. It was their treasure, and it was their legacy. The Nill/Garland letters cover a period between about 1928 and 1935, and include copies of Ms. Nill’s letters to Garland, and many of his letters to her. The two became friends over the years, and it is easy to see their relationship change and develop over that time. It went from a connection of business associates who have a sort of camaraderie, and into a more personal one, in which the share their views of family, life, politics, the Great Depression, personal hopes, successes and failures, illness, and death. It seems that the decline in the book trade, the death of Wilfred in 1930, and the aging, illnesses and injuries of Ethel Voynich and Mrs. Garland, all led Anne and Herbert into closer terms. As the years wore on, they had a sort of emotional huddle “across the pond”, through the dozens of letters, where they could commiserate on a personal level, but also plan their way out of an increasingly hopeless business situation. Rare books were not selling in the depression, of course. But even by 1928, before the Stock Market Crash, Anne reveals, Voynich had already borrowed $8,500 to keep the business afloat. And after he died, after the Crash, and the book trade began to diminish along with everything else, it was up to Anne to figure out the best way to market and sell the stock, pay the rents on the offices, retain the reputation of the Voynich legacy, pay estate and sales taxes, and at the same time, care for her dear friend, Ethel. She lamented that she worked “every day and Sunday”, and late into the night to fulfill her responsibilities as she saw them. And she handled her lot in life with dignity, intelligence, grace and humor. However, less than a year later, it the estate taxes were demanded, and they amounted to $3,400. She then told Garland that she could only pay $2,000 toward those taxes, as she needed the other money in the account to pay expenses, and would have to owe the remaining $1,400 to the State at 12% interest. And book sales continued to decrease, and bills piled up. And so it went, month after month, year after year. It was a rough time, and there was always talk of closing both offices, and the business. But apparently Ethel wanted to continue it, and had high hopes. Anne tried to meet those hopes, to no avail. There was often talk of closing the London office, and the possible termination of Garland. At first it looked as though that would happen soon after Wilfred’s death. But within a short time, Anne and Ethel came to the decision the London office, and Garland, could stay in business, and help to sell off the London stock, if not simply continue indefinitely as a going concern. Anne was able to offer several batches of books from the US, and London, through Sotheby’s auction house in London, which helped. It seems that like Wilfred before, Anne too, now had misgivings about the New York book auctions ability to get a fair price, or even describe the books properly. Anne did her best, and was proactive in representing the stock. She often suggested titles to collectors, both new, and previous customers. So she quickly and by necessity evolved from an office manager into a book dealer herself, and even made attempts to replenish the stock… although with meager assets, and multiple duties and concerns, this was very difficult for her. But because of all the hurdles they faced, and the income from the auction and private sales was often disappointing (never even reaching the level of their daily needs), Anne was never able to accumulate the nest egg she had hoped. But there was the promise that they may have a way out of this dismal spiral, and it lay in two treasures they still possessed. Throughout these difficult years, Anne and Ethel held out hope that two books in their collection might be sold, and save the business and all of them. These were referred to as the “Bacon” and the “Valturius”. Of course the “Bacon”, which was often also referred to as the “cipher mss.”, was the Voynich Ms.. The Valturius was one of WMV’s great finds… a manuscript copy, on vellum, of De re Militari, by Robertus Valturius (interestingly, Voynich concurrently owned a second copy of this book, which neither Anne nor Wilfred seemed to ever actively promote. In fact, it seems to be somewhat of a secret, outside of a brief, later mention in the DiRicci catalog of 1937). As I understand it, the printed versions, with woodcut illustrations, are and were quite rare and valuable. Having an actual manuscript copy of this book was therefore quite a potential asset for Voynich. Up until his death, he held hope that he might get as much as $100,000. However, after he was gone, Anne and Ethel apparently only had it insured for £7,800. This modest number seems to be to save on their insurance premium, as the Voynich they only had insured for £4,000. But still, “The Bacon” and the “Valturius” were the engines of hope for Voynich and Ethel, and after Wilfred was gone, the only real hope for Anne Nill that she might save the company, herself, and Ethel from poverty. Of course they never sold while Ethel was alive. And as we also now know, Anne eventually inherited the Voynich, and sold it for a mere $15,000, not long before her death. The “Voynich Valturius’s” were eventually sold by Kraus to Lessing J. Rosenwald, and then bequeathed by him to the Library of Congress, where they both reside today. “As for me, Mr. Voynich has made a more than generous provision, which I feel that I can accept only if Bacon and Valturius go through. But like you I have always felt that Valturius will not bring $100,000 nor anything like it. If they go through it means it would be possible for me to continue the business in some way if I care to, and perhaps this is what he wanted, but at present I see nothing clearly. There is such a void. However there is no need to go into anything of this nature just yet and all I know is that Mrs. Voynich and I will be in harmony and that is important”. Friendship and trust and duty came first for this woman, and she stuck those principles through the increasingly turbulent times of the Great Depression. It was her character which held it together for her, Ethel, and to the end of the employment and after, for Herbert Garland, her friend. The letters relate these difficulties, but also the small triumphs- such as Ethel wishing for a piano, which they could not afford- and having a friend fortuitously mentioning they were moving without theirs, and so Ethel and Anne got it for the $12 moving fee. Anne was happy that Ethel had the piano to play, although she felt it was out of place in the apartment, and too large. But it was surprising to me the importance both women placed on the Voynich Ms., and the interest they had. As I mentioned, in my last visit to the Grolier I learned the extent that Ethel delved into the mystery, in the form of her personal notebook of plant identifications. But it went beyond this, as box 5 now reveals. The interest was deep, and shared by both women. It was bred of from concern for the value of the manuscript, which they felt relied on preservation of the “Bacon attribution”, but their fascination was also one of the romance and mystery of it, just as much as it has held for hundreds or thousands of others over the centuries. They were hooked on it, just as so many have been since, and still are. “Professor Manly called this week, on his way back from London to Chicago. Mrs. Voynich came for the occasion and we had an interesting two hours. Do get her to tell you all about it and what he thinks of the Ms. and Carton, etc. etc. Of course he continues not to believe in Professor Newbold’s work, but he does believe that the Ms. is of great importance. He seems to have discussed it with everyone in Europe, including Bernard Behrenson (who, he says, is very much interested in it). he also discussed it with Little, who, he says, considers it is an important Ms.”. What good are treasures such as these, if there is no one to buy them? As for the interested in “Malatesta”, this refers to Sigismondo Pandolfo Malatesta, 1417 to 1468, the nobleman who commissioned the Valturius. Anne was doing her part as salesperson, a role she had been thrust into. As it turns out, and long after the date of the last letter in this collection, she struck a deal with her later employer, H.P. Kraus. He reveals in this autobiography that he gave Ms. Nill $15,000 toward the manuscript (which she had inherited from Ethel), and offered it for sale for $160,000. He says that he came up with this number because that is what Wilfred asked before WWI. 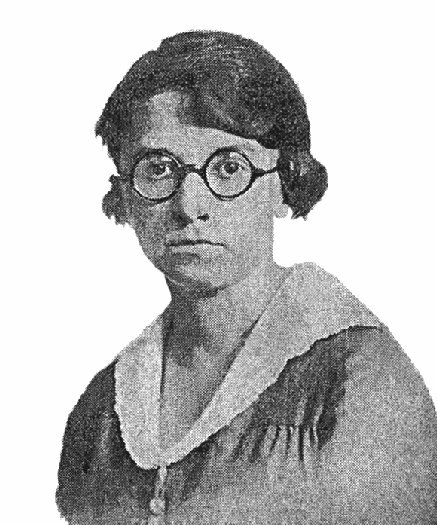 Kraus was going to split the amount with Nill, but did not sell it before her death. It is a tribute to him, and his respect for Anne, that rather than continue to try selling the Voynich Ms. after she died, he donated it to the Beinecke. What strikes me most in the Nill/Garland letters is that one might have trouble seeing any difference in the excitement, the type of varied conclusions and guesses, the hope and sense of an imminent solution to the problem, that we find in all the Voynich attempts in eight decades since Anne Nill wrote her words. And I’ve no doubt that similar thoughts will still be written on the Voynich, just like Nill had, and all the thousands of others have, for centuries to come, should it still not be solved. But I also get a melancholy feeling for the life of Anne Nill, and the person she was. She held admirable standards for herself, and held her head high during the most difficult times, never abandoning the responsibilities thrust on her, and doing her best, with few complaints, to the very end. She was an important “keeper” of the Voynich, and we owe her a debt for that, as she never gave up hope. And it was that hope, at great personal cost to her, that saw the manuscript through the storm of the depression, to the safe home it has today. This entry was posted on January 16, 2013 at 12:49 pm and is filed under history & provenance. You can follow any responses to this entry through the RSS 2.0 feed. You can leave a response, or trackback from your own site. Thank you, Richard for this time-consuming research! Seem like they were genuinely interested in solving the mystery, which is great news for all of us who devote our free time to the VMS. Do you have any idea what this Vatican manuscript might be? Thank you for the support, Elitsa. As for that mysterious Vatican book, I am afraid I have no idea what it is. But I have to say that the story is somehow familiar. Perhaps someone reading this can enlighten us! Take care, Rich. The two men he mentions “ salomon “ and “ Liebeschutz “ are, I believe, Dr. Richard Georg Salomon; an historian of eastern European medieval history and Dr. Hans Liebeschütz; a teacher of medieval History and latin. Thank you, Ernest. It would be interesting to go through the papers of some of the names lesser known to the VMs community, and see what unpublished opinions they held. I am going to try to track down the work of Charles Singer, and I’ve gotten some tips of where some of his letters may be. Some of these people may still know things we are not now privy to. After a little more research, I wonder if the vatican manuscript mentioned by Dr. Panofsky isn’t “Cod. Pal. Lat. 1066” which is housed in the Vatican. Dr. Hans Liebeschütz published a book: (Fulgentius Metaforalis: Ein Beitrag zur Geschichte der Antiken Mythologie im Mittelalter, Leipzig 1926) in which he analyzed the text and illustrations. Interesting find, Ernest. I don’t have the time to pursue it, myself. I suppose it would be interesting to see these men’s papers, too, and what they said about the VMs… if the papers are in a collection. But I don’t have the time for that, either! Thanks for your interest and time… Rich. First, do you have a note of that letter’s date? I ask because Zandbergen’s recently re-jigged entry is so worded that it conveys the impression to readers that either Zandbergen’s English isn’t up to scratch (which I shouldn’t have thought for a moment) or that Nill waited an entire year between meeting Panofsky and writing that letter which you quote. Is that true? Do you know how much time did elapse between Panofsky’s viewing the manuscript and Nill’s writing to her friend? Secondly, can you confirm that the two bits of scarcely-legible and heavily emended writing which Zandbergen has chosen to illustrate his ideas is a draft for the same letter? Zandbergen shows it with no heading, no address, no salutation or signature. I expect it may well be Nill’s writing, but it looks so like a student’s effort to take lecture-notes from a person speaking too quickly or ‘over her head’ and then checking and correcting them later, that I wonder if there’s some evidence that the scrappy bit of writing was, actually a draft letter. Can you clarify the point for me? If you like, email me at voynichimagery (gmail) or leave a comment at my blog under the Friedman and Panofsky post where I quote this one of yours. Hi Diane: I have to apologize, because I just looked up my picture of that letter, and it seems I cut off the date. The letter was to Garland, the manager of the London Voynich shop. It may be part of the same letter I have other pages of, taken just before it, which date to October 1930, but I am not sure. Sometime in the early 1930’s would be the best I could do (and that is a failure on my part). I will email you copies of both parts of that letter as soon as I am done answering you here. You write, and ask, “Secondly, can you confirm that the two bits of scarcely-legible and heavily emended writing which Zandbergen has chosen to illustrate his ideas is a draft for the same letter? Zandbergen shows it with no heading, no address, no salutation or signature. I expect it may well be Nill’s writing, but it looks so like a student’s effort to take lecture-notes from a person speaking too quickly or ‘over her head’ and then checking and correcting them later, that I wonder if there’s some evidence that the scrappy bit of writing was, actually a draft letter. That is in ELV’s hand, but I do not believe that is a draft of the letter by Anne Nill. I think Rene is incorrect on this point. It seems to simply be that ELV made notes on Panofsky’s opinions, copied by Rene; and Anne Nill wrote to Garland about Panofky’s opinions, transcribed by me. They seem otherwise unrelated… I mean, not a draft of that letter, I am sure, as Rene stated. But yes, as Rene says, he seems to have combined the information from both Ethel’s notes and Nill’s letter, into one list of Panofsky’s feedback on the manuscript. You are welcome to copy my (useless) notes here on you blog… I could not find the specific post you have written on this topic. All the best, Rich. Thanks Rich – I look forward to receiving those copies. “A summary of his first impression after the two hours of investigation, was written down by ELV one year later, in a letter from ELV to James Westfall Thompson, written in 1932”. I clearly wrote that the draft is by ELV (not Anne Nill), and it is of a letter by ELV (not Anne Nill). Hi Rene: Thanks for clarifying that for us. Rich. The timing remains a bit unclear. Thank you Rich. And I trust your great contribution in giving us the content of the archive has been given its (very much due) acknowledgement by those who have repeated it all thereafter. Appreciated, Diane. But I that particular letter was a find of Rene’s. I was curious where you did find it, Rene… were you in New York? I think all the ELV and Anne Nill letters are in the Grolier Club and the Beinecke. If either one of you does make it to this area, I would love to meet up. Hello Rich, I have not been in the US since the Folger event. I did obtain many copies of material in the Grolier Club Library, and indeed I forgot to mention that his particular letter is in the Grolier, in Box 6. I do not have a complete set, however. Something else, in the letter in which Anne Nill describes the death of Voynich, it is mentioned that ELV had a mask made of Wilfrid’s face. 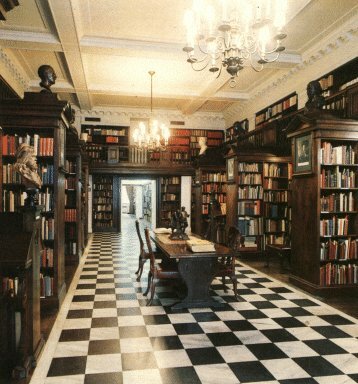 Chances are, that this no longer exists, but Nill would have taken care of it, and if it still exists, the Grolier club would be one of the more likely places. Did you ever follow this up? Hi Rene: As for the death mask, I admit I forgot the reference in that letter. No I never did make an attempt to look for it, but in a general sense, I have wondered what happened to all the remaining possessions on Nill’s death. I’ve made some efforts to track down her family, and possible grave site, but only have a couple of possibles. I think she MAY be buried in a town about 45 minutes from me. I would love to know what became of any such mask, but sorry, I don’t know. On another note, I did think that the staff at the Grolier may have re-organized the contents of the boxes to some extent. I didn’t directly ask them, but I noted that on one visit, an item which had been on one of the boxes was not there. It was a large color copy of that map… which was too large for the box. So I assumed they moved it to a better container, but didn’t ask. The thing is, this does make me wonder if a direct question, “Are these boxes everything you have, or is there more, cataloged or not?”, might give an interesting answer. If you do turn up such a mask in New York, I’d be glad to photograph it for you. And if you have any suggestions as to where to look, I’m all ears. This is not on the post’s topic, but I wanted to ask whether we could have the contents of the second mailing list made publicly available to us, the way the content of the first mailing list, the JVL and voynich ninja are available online. Those years when you ran the mailing list comprise a large slice of the modern history of the the manuscript’s study and without being able to reference it, later efforts risk being skewed or unnecessarily redundant – people re-discover things known years ago, or wrongly attribute to some later imitation or inaccurate attribution the work done during those years. On a more person’al note, I am increasingly frustrated to find that footnotes to my own essays cannot be completed, since at the time I had assumed that I’d be able to check details by consulting the original posts. Today, for example, I needed to check the exact date that Dana Scott made his identification of the Hops in the botanical section, and incidents of this sort are so frequent that I thought I”td ask if there was some reason that you hadn’t got round to making the correspondence public domain – as the first mailing list did, or as JVL did. Newer researchers gain so much from those years – but we have lost… what, a decade? … until those years of the second list are made available. It is ironic, but someone else just reminded me of this problem, also. I think there is a little resurgence on interest in the Voynich among some long time researchers, like us. I’ll look into doing this, again. I was pretty close the last time I worked on it, the only difficulty being, as I remember, stripping all the posts of email addresses. Thanks for the reminder… I’ll try to get this done soon.